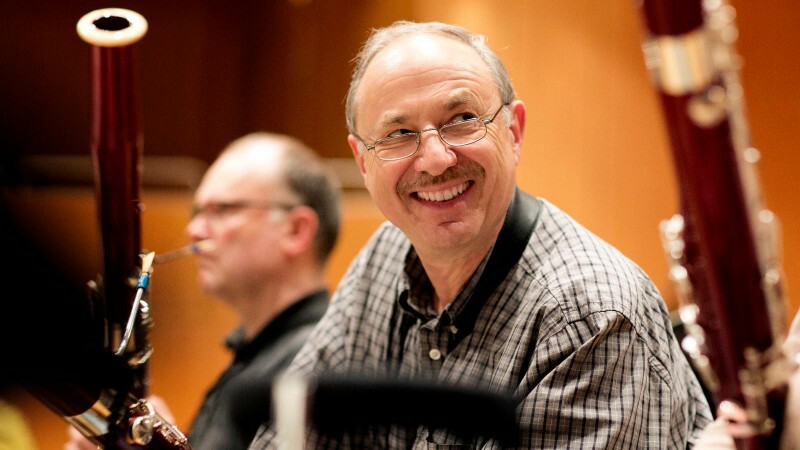 Rainer Seidel was born in Plauen/Vogtland, studied under Professor Karl Kolbinger in Munich, and since 1977 has played bassoon in the Symphonieorchester des Bayerischen Rundfunks. He has won many prizes in national and international music competitions (Ancona 1979, German Music Competition in Bonn in 1980, Toulon 1982), and has also performed many times with the Bach Collegium München and the soloists of the Symphonieorchester des Bayerischen Rundfunks. Rainer Seidel has a special fondness for the Ensemble Fagottissimo München, to which he has belonged since 1986. Rainer Seidel also serves as the host of that group’s concerts. In addition he works as chief sound engineer for various record companies.